Censorship with the vintage Tom and Jerry cartoons is a horse beaten so far beyond death that flies are buzzing around horse pulp instead of a carcass. As such, I’m not going to discuss the censorship per se, but instead provide some information for collectors. I have all three volumes of the Tom and Jerry Spotlight Collection plus the Chuck Jones collection. All told, of the vintage Tom and Jerry cartoons, I have all but two: “Casanova Cat” and “Mouse Cleaning”, released in 1951 and 1948 respectively. Why were these not included? Because their content was deemed to be “too offensive” to the black community. Now you can readily watch those cartoons on YouTube if you search around (I won’t link to them here). You might just find the uncensored releases as well. But what if you are a collector looking for a copy of these cartoons? Well you’re in luck, courtesy of some of my recent searching. 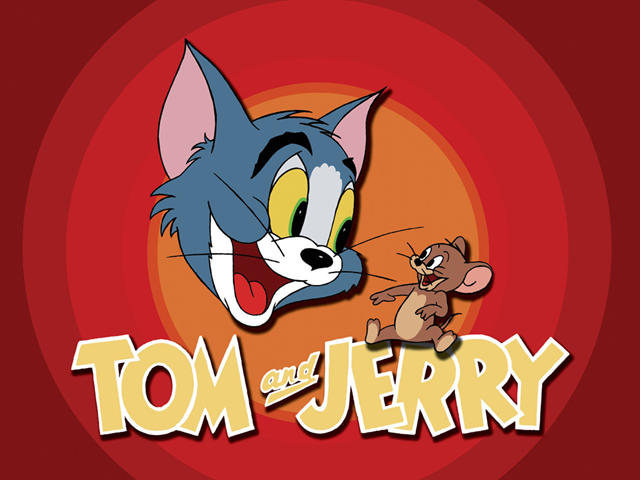 In 1990, Warner Bros released a 50th birthday collection of Tom and Jerry cartoons in 3 volumes. On Volume 3 of that release is “Mouse Cleaning”. In 1992 Warner Bros release another small collection of Tom and Jerry cartoons called “Tom and Jerry’s Cartoon Cavalcade“, on which you will find “Casanova Cat”. As of the time of this writing, you can find both on Amazon’s Marketplace. Be sure to buy them used as the “New” price is just… yikes! Now as you can tell by the release dates, both of these are on VHS, not DVD, but if you’re skilled enough with certain hardware and software, it should not be difficult for you to create a DVD from the VHS, something beyond the scope of this article. And of course is the big question: why was I looking for those to begin with? The answer is simple and two-fold. First, I wanted a complete collection of the vintage Tom and Jerry cartoons. Looking for any release, DVD or VHS, that had the remaining two cartoons was necessary to complete the collection. Second, I want any children I have to grow up with Tom and Jerry. They are cartoons from a far gone era of our history, and in having my children grow up with Tom and Jerry, along with learning our history from the 1940s and 1950s, I hope they will gain a full understanding of where things were in our history compared to where we are today and tomorrow. 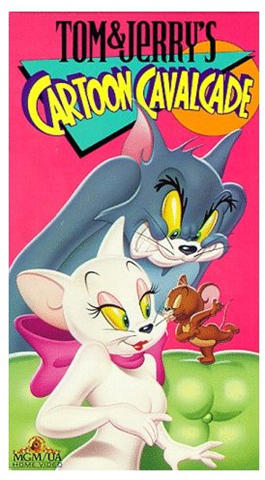 I feel it would actually be in Warner Bros. best interest to release a special DVD with just “Casanova Cat” and “Mouse Cleaning” with an insert or special feature on why those cartoons still do matter today from a race standpoint. Other censorship has taken place with Tom and Jerry — thankfully almost all of the Spotlight Collection is uncensored — but purposefully omitting two full cartoons to avoid offending people is nonsense, and that sentiment has been repeated at length by many of Tom and Jerry’s most ardent fans. Update: It appears that in the new Tom & Jerry Spotlight Collection, “Mouse Cleaning” will be included on Volume 2. No word yet on whether “Casanova Cat” will be included, but if they’re including “Mouse Cleaning”, I think there is good reason to believe “Casanova Cat” will be included as well. Correction to previous update: Volume 2 of the new Blu-Ray collection has been indefinitely suspended due to intense negative feedback (specifically the immense number of 1-star reviews on Amazon.com) about the decision to not include “Mouse Cleaning” and “Casanova Cat” in the collection. Additional update: One part of the entire Tom and Jerry series I completely forgot were the episodes created by a production company in Czechoslovakia (now the Czech Republic and Slovak Republic). That became available last year on DVD as the Gene Deitch Collection. So it’s possible to obtain everything but “Mouse Cleaning” and “Casanova Cat” on DVD, and you can get those remaining two episodes on the VHS collections provided above.